Emma Watson, actor, activist and UN Women Global Goodwill Ambassador has partnered with National Geographic to become the first guest editor of the National Geographic Instagram account (@NatGeo) to mark International Women’s Day 2018 on Thursday, March 8. Working with the editorial team at National Geographic, Watson will curate the account, highlighting the work of eight National Geographic female photographers. The photographers, from Saudi Arabia, Iran, Azerbaijan, Australia, the United States and the Philippines, cover a wide range of important and relevant topics including male guardianship and the longstanding ban on women driving in Saudi Arabia, the effects of displacement on women and girls running from Boko Haram in Nigeria, unequal pay in India for women day laborers in the brick industry, the bond between mothers and their babies evident even in nature, advancements in women’s rights and the importance of self-identity and the power of hope for a better tomorrow among our world’s young girls. The National Geographic Instagram account is the most followed brand on Instagram and one of the top 15 most followed accounts on the platform.Both Watson and National Geographic have a combined total following of 129 million followers and this experience will be amplified via Facebook Stories on the National Geographic magazine Facebook page, extending the reach by another 22 million followers. In addition, in an effort to encourage conversations online and through social communities on March 8, National Geographic will also be publishing articles tied to International Women’s Day at NationalGeographic.com. This will include stories of inspirational women from around the world, portraits of powerful women throughout history, discussion around some of the greatest barriers women are facing today and highlights of some of National Geographic’s most notable female explorers, including Dr. Jane Goodall. 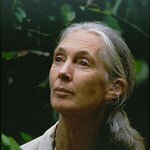 National Geographic’s acclaimed documentary JANE will make its broadcast premiere on Monday, March 12 at 8/7c. Directed by Brett Morgen and featuring an original score from legendary composer Philip Glass, JANE has won Best Documentary Awards from the National Board of Review of Motion Pictures, Producers Guild of America, Writer’s Guild of America, The American Cinema Editors Guild and the Motion Pictures Sound Editors Guild, as well as The Critics’ Choice Documentary Awards. Lastly, a number of other National Geographic Instagram accounts will also be featuring photos of and by inspiring women, including 2018 National Geographic Adventurer of the Year Hilaree Nelson O’Neil on @natgeoadventure and Dr. Jane Goodall on @natgeowild.